Now in its fifth year, our Cocktails & Carburetors two-day event combines vintage and special interest autos with tours of private garages and car collections. 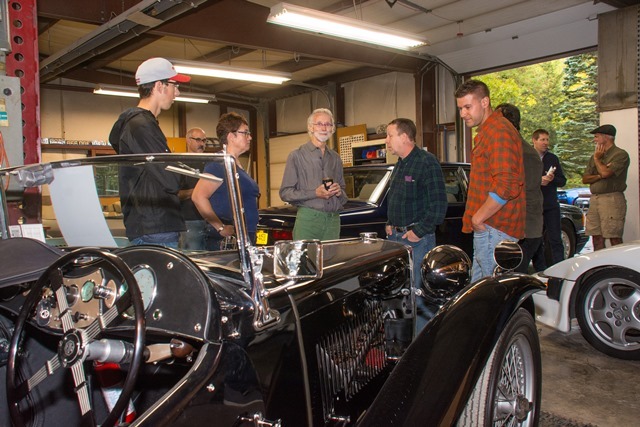 On Friday, September 21st from 6:30 to 9:00, you’ll attend the opening cocktail party at Horsepower Motorworks in Victor. Stroll among the many cars, both under restoration and on display, while enjoying music, cocktails, hors d’oeuvres, and a silent auction. You’re invited to drive your special interest car for preferred parking. While there, pick up your program for the self-guided tour on Saturday, September 22nd from 10:00 to 4:00 – this will be similar to a house tour, but focused on garages and their fascinating contents!